100 grams (3.5 oz.) of Dubia nymphs of various sizes and phases of development. You can choose a random selection, or have us skew your order toward the size you want! 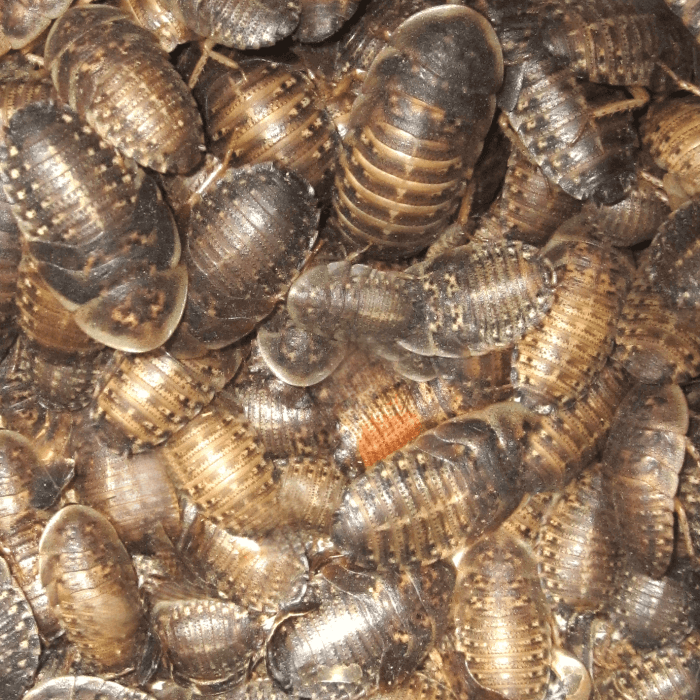 Are you looking for “a bunch of Dubia roaches” in different sizes? Maybe as a gift? Perhaps something else? Not sure what size you want or need? Whatever the case, the Dubia Roach Variety Pack is a mix of Dubia nymphs at every stage of development. You’re likely to get some smalls, mediums, and so on – all the way through our extra-large, 1-½ inch nymphs. The exact assortment varies and depends on the current mixture of the colony. When it’s time to box these up, we choose your roaches at random. However, we know you may want more control over what you get than that, so we will skew your order toward small, medium, or large sizes if you like. 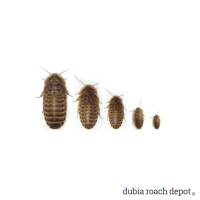 Just select the size distribution you prefer when adding a Dubia Roach Variety Pack to your cart and we will do our best to include more of that size for you. We don’t guarantee the exact sizes you’ll receive with this option, but we are happy to select more of your chosen size if the colony population allows. The overall size range will be roughly the same, but we’ll do our best to give you more nymphs in the size you want most. 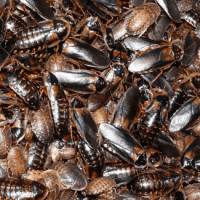 So how many roaches are in 50 grams? It’s hard to predict. It depends on things like sizes, feeding status when they’re selected, etc. Here is some reference for the nymph sizing in the Dubia Roach Variety Pack. The ranges are approximate. I am more than happy with choosing this option on my last order of males. First of all the price is amazing as it is, secondly my order was WAY better than I expected. It goes by weight and I decided to choose mixed size to add to my colony, so glad I did. They tell you on the description that its “usually 100 or around that many” with the mixed sized. I counted. I got almost 200 various sized dubias. I’m not saying every order will be the same, but I can give you my experience and mine was this and I am ecstatic! ???? Don’t shop around. This is your place right here. For the amount of feeders they have, they sure do give you that quality “small business” feel. Service, quality, price, quantity are all impeccable. So glad I found you guys. Sorry so long, but THANK YOU!!???? Another 5 stars from me for another waaaaay “overcounted” mix. Not a single dead roach. Dubia Roach Depot never lets me down. Thank you! Even though I place small orders they always ship fast with a very generous overstock. 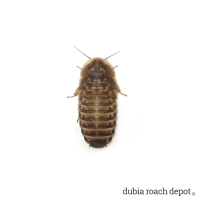 This is the best place to buy dubia roaches.